Experience the all-new Hyatt Regency Aruba Resort & Casino, where luxurious pampering and exquisite touches enhance every moment of your visit. Breathe in fresh tropical breezes bringing the captivating scents of our island retreat into each corner of our impeccably renewed Aruba hotel and resort. Delight in the beauty of our new design, from intimate gathering spaces to elegantly modern guestrooms. Discover inner peace as you relax on our silky white sand beach, or as you give in to the nourishing treatments in our serene spa. 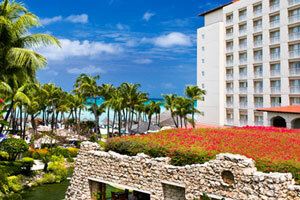 Revive your sense of adventure with sailing, diving or tempting Lady Luck in the casino of our Palm Beach, Aruba hotel.